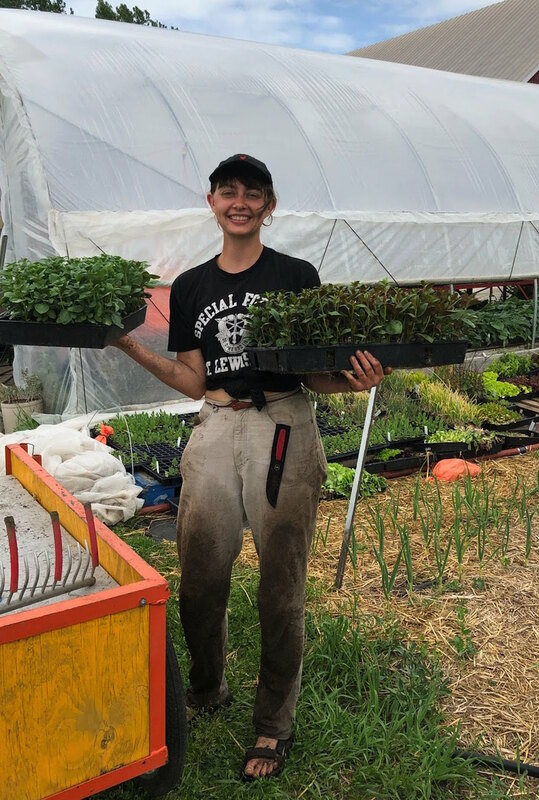 Farm Manager Rachel Cross was raised in northern Michigan and graduated with honors from Michigan State University with a Bachelor of Science degree in Horticulture, concentrating in Sustainable and Organic Horticulture. As a student, she worked at MSU's Student Organic Farm, and in research labs studying weed ecology, sustainable vegetable production, and compost tea production and use. 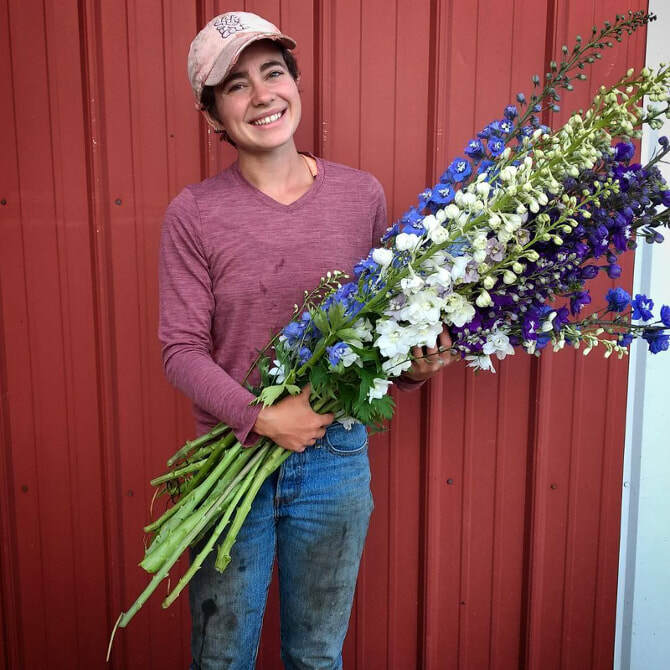 As an upperclassman and after graduation, Rachel owned and operated Giants Farm, a certified organic specialty vegetable farm and CSA in Lansing before coming to Spirit of Walloon. On or off-farm, Rachel enjoys reading about good food, cooking good food, and eating good food, especially with friends. She also loves long foraging hikes, playing in the water, backpacking, movies that require subtitles and novels in translation, and crafting knitwear for her family and friends, whether they like it or not. She is passionate about creating ecologically-based agricultural systems that prioritize the health of the local community and natural areas. She is also interested in exploring and maintaining crop diversity, and has grown hundreds of heirloom varieties of vegetables and flowers over the years. Farmer Jess Taylor grew up in Northern Michigan, where she developed an appreciation for being outdoors and active. She has lived most of her adult life in Northern Michigan, where she has undertaken a variety of projects that channel her affinities for simplicity, nature, and working with her hands. Most notably, she is raising a daughter. Before coming to Spirit of Walloon, she lived on a small family farm with her daugher, where she deepened her love for gardening, foraging wild foods and herbs, and preserving (or fermenting!) it all. During her time on the farm she helped create and run a small business, and raised chickens, turkeys and milk goats. An avid gardener and lover of flowers, she now enjoys applying her passion and efforts towards farming. When not exerting herself outdoors, Jess enjoys baking, reading, and cocktails. Farmer Amanda Cook will be joining us for her second season on the farm. She was drawn to Spirit of Walloon as part of her pursuit of learning about (and eating!) as much good food as possible. Amanda likes being outdoors and working hard, so farming was a natural fit. Outside of work, Amanda enjoys cooking, foraging, swimming, thrift shopping, and crafting.